What happened? What’s happening? What can we do about it? 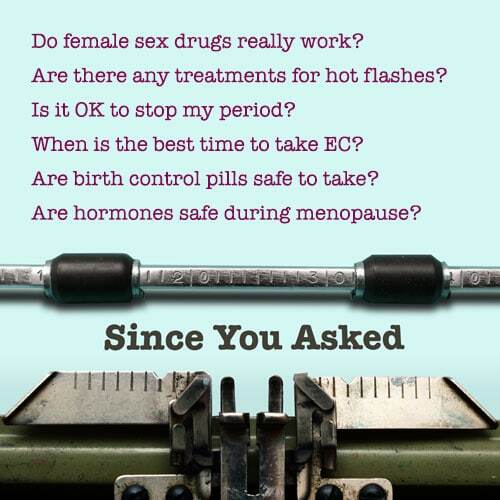 Like many women’s health activists, educators, and practitioners, we’ve spent the last two years agonizing over these questions. There have been too many moments when everything we care about and worked for seems to be under attack and each presidential appointment/nomination brings news of someone perfectly chosen to dismantle rather than promote and protect their portfolios of responsibilities. But how could it be that a president known for his inconsistencies and unpredictability and for not reading, thinking, or listening to advisors could so effectively and systematically sabotage the very basic things that the majority of Americans value? The Radical Right’s agenda includes gerrymandering on a scale never seen before, restricting voting rights, eliminating Social Security, safety nets, and the U.S. Postal Service, eliminating funding for health care and public education, dismantling unions, workers’ rights, and environmental protections, creating distrust of science including climate change, and “making the protection of corporate profits and private wealth the cornerstone of the legal system.” Because this vision benefits a relatively few rich people (mostly white men) and hurts the majority (including most women, people of color, LGBTQ people, people with disabilities, and absolutely all poor people), the Radical Right always knew they needed to “carry out a revolution below the radar of prying eyes,” develop a secretive long term strategy, shape the language of “makers” versus “takers” (tax producers versus tax consumers), and develop multi-prong messaging to divide and erode support for popular public programs like Social Security and health care. Susan Berke Fogel, National Health Law Program Director of Reproductive Health, observed “Trump is blatantly attacking basic rights of women, to rally his anti-woman base.” (Similar to how Trump plays on racism, homophobia, and other forms of discrimination to hang on to a base that would not be his without such tactics.) Pence actually brags about the number of anti-abortion people now serving in key positions, “For the first time in a long time, America has an administration that’s filled top to bottom with people who stand without apology for life.” The NWHN, other feminist organizations, and sometimes even the mainstream media have done a good job of highlighting the on-going attack on the health of American women and women around the world through national and global gag rules, cutting, abolishing, or adding political strings to funding for the widest range of women’s health care, procedures, screenings, education and information, supplies, and organizations. Perhaps best known is the administration’s defunding of basic preventive healthcare under Title X (e.g., birth control, STI/HIV services, cancer screenings). Vice-President Mike Pence cast “the tie-breaking vote in the Senate to dismantle President Barack Obama’s rule protecting basic health care services through Title X” and “ President Donald Trump signed the bill into law behind closed doors.” Symbolizing what the Guttmacher Institute’s senior policy manager describes as the Trump administration’s “ideologically motivated and aggressive campaign against women’s sexual and reproductive rights” is the Trump administration’s plans 2018-22 for Health and Human Services (HHS) “expanding protections for doctors, nurses and other health workers who have moral or religious objection to performing services like abortion, euthanasia or gender reassignment surgery.” Language stating HHS will now be “serving and protecting Americans at every stage of life, beginning at conception” is the language of religious and anti-abortion groups (not federal policy) and demonstrates the religious right’s growing influence at the highest level of government. The Women’s Health Activist readers will all have their own long list of health programs and health and safety regulations that have been hurt, cut, or threatened by conservatives. The outcome of the conservative approach “to combat science” and “to replace evidence-based conclusions with ideological misinformation” is seen in many policies and proposals related to health care, public health, and the environment. HHS banned the Centers for Disease Control and Prevention (CDC) from even using the terms evidence-based and science-based, as if to signal that the use of scientifically sound “gold standard” research would no longer be used in making decisions. Simply, the goal is to undermine science so that it will be difficult to use research in ways that could keep rich people and corporations from becoming richer. Undermining, attacking, or ignoring scientific research are strategies to deter or reduce government regulation. Such approaches are not new, having been used, for example, to protect the tobacco industry from health-related regulation. The goal of reducing/eliminating government regulation is well served by anti-science rhetoric and attacks. Research that supports possible regulations that might reduce the wealth of the “makers” (e.g., warnings, labels, restrictions, bans) or transfer funds to the “takers” (e.g., lawsuits, reparations) are prime targets. Of course, not all science is under attack since corporate-influenced research can be designed to produce results favorable to industry. Also, industry’s influence at the Federal level affects which research can or cannot be used in rule-making. In turn, Federal agencies use many strategies to control information related to science and policies, including: Declining to collect important information; deleting publications that contradict policy goals; silencing views of some scientists; removing information from Federal websites; politicizing the scientific grant-making process; prohibiting experts from using common words. NWHN members are probably familiar with many examples of ideological (mis-)information displacing scientific research in decision making. Sexuality education and family planning programs often fall into this category. For many years sexuality education has been an area of contention, though, in the United States, the majority of adults — including parents — have supported sexuality education in the schools. Debates have focused on whether it should be required/state-mandated and what form it should take. The overwhelming evidence through years of study has been that “abstinence-only” does not work and that comprehensive programs have been much more effective. The latter can be partially credited with the impressive national 30 year low in the rate of unintended pregnancies and the all-time low rate of unintended teen pregnancies. When a public health program has shown success, an expectation is that funding would continue and possibly increase. However, the administration has attacked the successful evidence-based Teen Pregnancy Prevention Program (TPPP). Instead they strongly support discredited abstinence-only programs, shifting away from evidence-based, evaluation-focused programs, as demonstrated by: Appointing a leader in the abstinence-only-until-marriage movement to a high position in HHS in the office overseeing TPPP; abruptly terminating funding to TPPP grantees two years earlier than expected; creating new funding opportunities requiring use of abstinence-only approaches; proposing budgets eliminating TPPP completely. The good news is that, although this story continues with attacks on TPPP, these are countered by strong resistance. Lawsuits have been filed in support of continuing TPPP and on behalf of grantees. As of September 2018, there were seven court decisions against the administration’s attempts to dismantle TPPP. Gridlock at the federal level often distracts attention from the Right’s stunning success at the state level due to the election of “fire breathing conservatives” as Governors, “doctrinaire ideologues” winning many down-ballot positions of attorney general, secretary of state, and state legislators, the fact that Republicans control all three parts of government in many states, and the powerful role of the Koch supported American Legislative Exchange Council’s (ALEC’s) model legislation. For example, 334 abortion restrictions were enacted in state legislatures between January 2011 and July 2016. The title of Dr. Mona Hanna-Attisha’s highly recommended insightful and inspiring book about the Flint, Michigan community’s success in fighting its water crisis, What the Eyes Don’t See: The Story of Crisis, Resistance, and Hope in an American City, highlights the components needed to identify and resist the Right’s plans that hurt the health and healthcare of Americans. We literally need to learn to see what is happening! Then, keep up the resistance and support each other in finding ways to stay hopeful. Hanna-Attisha tells the story of Flint, a struggling, poor, majority African-American community. Michigan’s Tea Party-inspired Governor replaced the democratically elected government with an emergency manager (EM), appointed very specifically to take all power away from local leaders and implement extreme budget cuts. (Residents of cities taken over by EM claim EM violate the Voting Rights Act because more than half of African-Americans in Michigan have EM controlling their cities or schools.) Simply to save money, Flint’s EM changed the source of the city’s water supply to a polluted source, did nothing to test and ensure that the water was safe, and foolishly even saved the mere $80 per day it would have cost to control the new water’s corrosive impact on old pipes as regulations required. Vote and protect all voting rights. In a climate where voting rights are under attack, voting has to be defined as a social justice and women’s health issue. Take new interest in watching and working on politics at the state level. State elections in November are places where positive changes are possible. Identify and support the organizations that do their work within the context of the threats to democracy. Look for and work for the interconnectedness of women’s health with all social justice issues. Nancy Worcester and Mariamne Whatley are Professors Emeritae of Gender and Women’s Studies at the University of Wisconsin-Madison. They are long-time women’s health educators, writers, and activists. Both served on the NWHN Board.